The "Lady Victory" head was one of the pieces radiologists helped recreate. Dartmouth-Hitchcock Medical Center radiologists can now say they've made a contribution to art history. 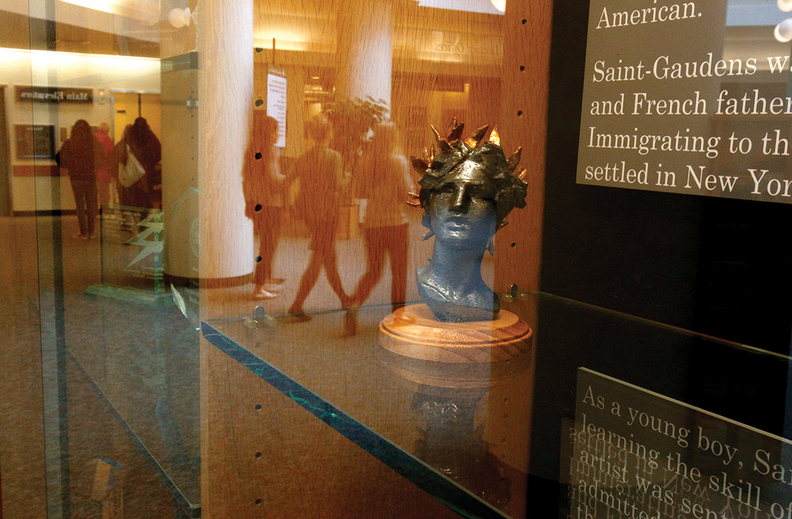 The team used a CT scanner and 3-D printers to view and recreate what's inside of sealed molds of 19th century artist Augustus Saint-Gaudens. Like many sculptors, Saint-Gaudens preserved his molds by sealing them between two plaster halves. The Valley News reports that over a year ago, the Saint-Gaudens National Historic Site in Cornish, N.H., contacted Dartmouth-Hitchcock to see if a CT scanner could show what's inside the plaster. Art historians were reluctant to break them open. Over 16 pieces were put through the scanner, revealing busts and heads, hands and legs, folds of fabric and an eagle. Among the pieces were the head and a leg from the "Seated Lincoln" statue in Chicago's Grant Park and the "Lady Victory" head from the Gen. William Tecumseh Sherman monument in New York City. "It was fun on so many levels," Jeff Volckaert, radiology IT project manager, said in a story published by the hospital. "The mystery of it all, the history and uncovering something that hasn't been seen for 125 years. It was so inspiring." Volckaert, whose hobby is 3-D printing, made the models at home on his two printers. He estimates he "probably put in a couple hundred hours" for the whole process of setting up and printing about 14 pieces. The pieces are now on display through the spring in the Lebanon, N.H., hospital, in the exhibit "Negative Space: The Intersection of Imaging & Art."